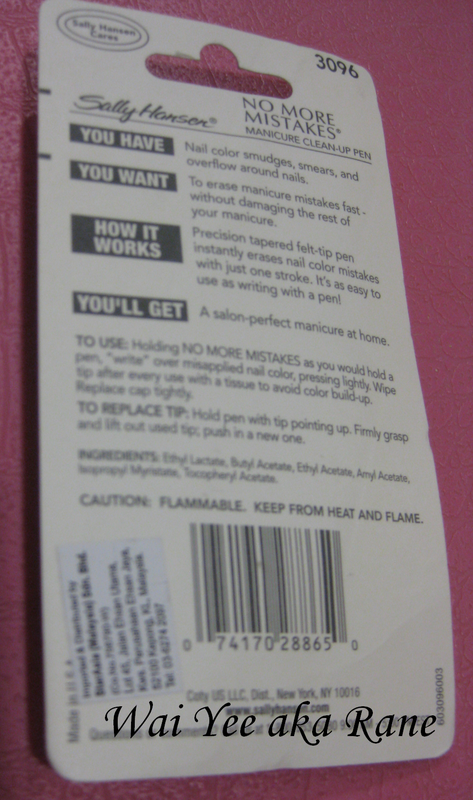 I have recently tried out Sally Hansen No More Mistakes Clean Up Pen. The highlight to a no-mess DIY mani/pedicure. 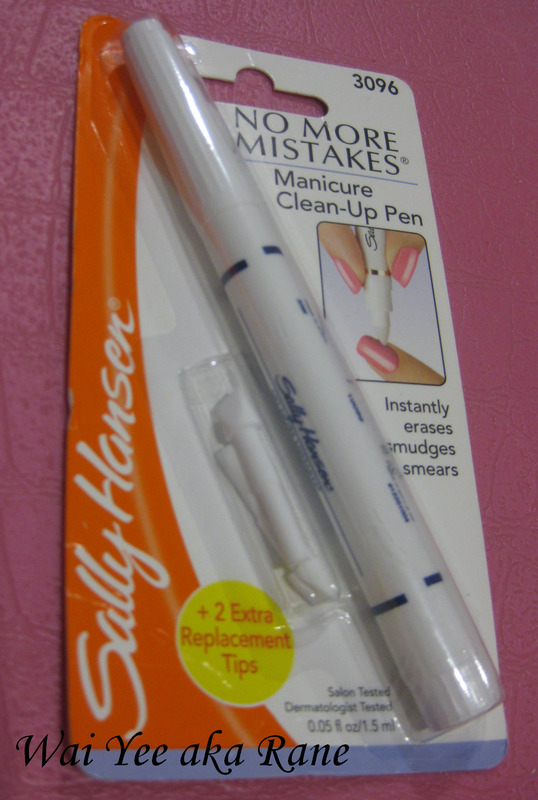 Sally Hansen No More Mistakes Clean Up Pen works just like a liquid paper, where I just need to hold it like how I hold a pen, press lightly and "Write" over misapplied nail color.